Today, there is no cross-communication between coworking spaces. Each space uses its own tool, making it difficult for coworkers to connect with their local professional environment. With coworkies, we help coworkers to find and offer work opportunities locally as well as connect with like-minded individuals sitting in workspaces around them. Would you recommend Coworkies to a friend? Hey all, this hunt comes a bit unexpected as we are in a very early alpha, so all feedback is much appreciated. We started Coworkies out of our own needs to connect to members of other coworking spaces and work together. As we are in our very early stage of development we are traveling to coworking spaces, meeting the people in them to get a better understanding. Today we are on a #Nordics tour meeting spaces in Copenhagen, Oslo, Stockholm & Helsinki. We have met personally with more than 60 coworking spaces from Milan, Barcelona, London, Berlin, Paris, Sofia. Also talked to spaces in San Francisco, New York & Taipei. To get down to the product, we are connecting professionals between different coworking spaces to share work opportunities, knowledge, and help. Would love to connect with people who are working in a coworking space to get their feedback and how such platform can be helpful to their professional life. @idmtr Apologies if I submitted this too early. I didn't see an alpha reference on the site, although, in retrospect, the announcement email does say Alpha. Guess you'll get a bit more feedback now! @joostschuur Hey Joost! First thanks for finding it, and thinking it's worth the attention of the PH community. As you write, a good feedback would be super instrumental at this stage, so we are going to take it with open arms:) Are you working in a coworking space yourself? @idmtr Glad you're not too put off :) I work out of the Timberyard Soho 'creative companies' space here in London. It's a coffee shop with a members only space for 4 companies (all in the social good space) in their basement. I suppose you could call it a co-working space but not at the same scale as some of the other places. Previously, we worked out of WeWork Southbank. @joostschuur Interesting! As we have met 24 spaces in London, would be nice to connect to Timberyard Soho. Actually, we want to facilitate the connection between a variety of spaces, big and small, topic specific or broad. For example Tileyard(London) and Noize Fabrik(Berlin) - both focused on music, but they can connect to 021(Barcelona) who are a small 30 people space focused on digital content. *btw, the space looks awesome! @idmtr Sent your a Twitter DM with Timberyard's contact details. Sounds cool. Would love to see what the platform actually looks like on the landing page though. @idmtr ahh ok... I'll unfeature for now until its launched properly :) let us know! @bentossell We are launched, just not promoting it:) You can register, explore spaces and find people all we are about. To have feedback would be great. Having worked in a couple of coworking spaces, I've found that they aren't as social as I would have expected. Do you think that's because there isn't a platform available for people to connect on? Or just because they don't want to be social; they want to do their work and go home? @marsh931 Hey Alex, thanks for the question. I would say it depends on the space and the needs of people. 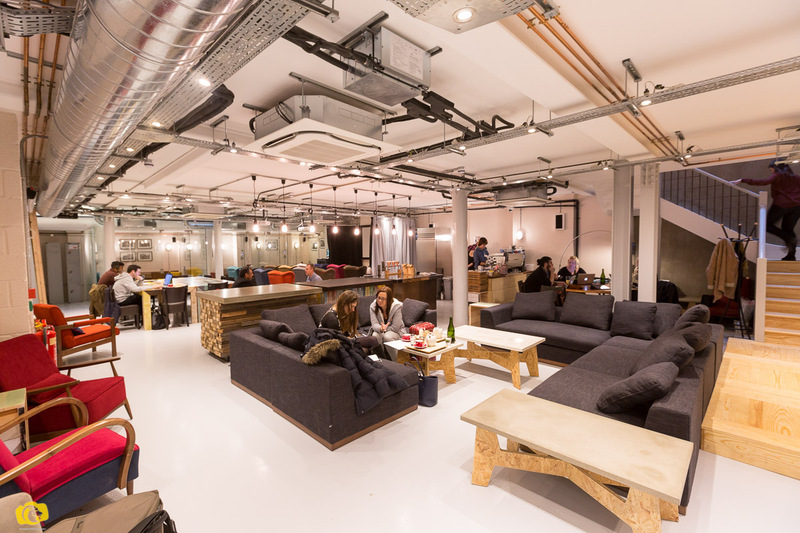 We started Coworkies in the Rainmaking Loft coworking in Berlin where they get only startups. Few blocks away is Betahaus a coworking space with a lot of freelancers. So, we started to solve that problem how people see each other between different coworking spaces and look for ways to work together. Which spaces have you worked at? @marsh931 Bigger places like WeWork make an effort to put on various events and informal gatherings for new members especially, but the downside can be that too much community and socialising with too many like minded people can make it hard to focus. Combine that with an open plan space, even for teams, and things can get quite noise quickly. @joostschuur Yup, during our research we found out that people in coworking spaces don't need a new Facebook like platform that is too social. @idmtr WeWork has a whole members network, but a big chunk of it seemed to be members attempting to networking and sell services rather than socialising. @joostschuur That's to extend is also the feedback we got from people we interviewed. I am planning to write a more extensive blog post also on the survey we did as people join coworking spaces for a variety of reasons. This also is reflected in the type of coworking spaces they join. For now our approach with Coworkies is very lean, so we can facilitate what actually people need - work related opportunities, help or advice. We also talked to now over 60 coworking spaces about their needs and how we can help to promote the work done in each of them. @katloughrey Great to see you here :) If you know any coworking spaces in Australia, let me know :) I am actively looking for some to connect with!